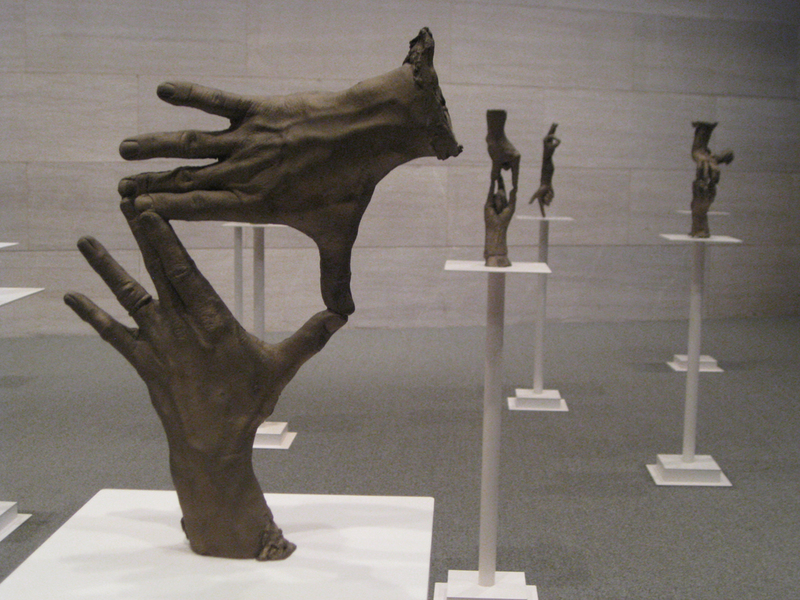 WASHINGTON, DC—Wandering between Bruce Nauman’s “Fifteen Pairs of Hands” is like milling around a small crowd of people. 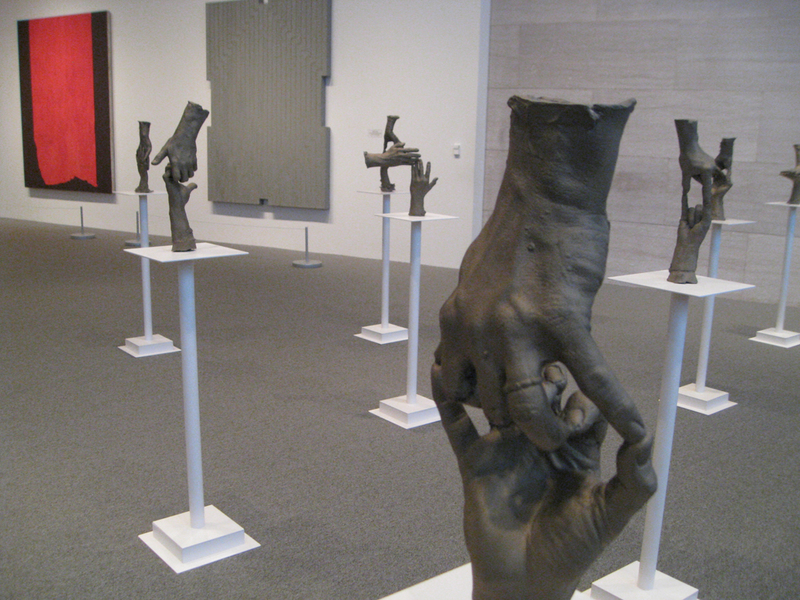 Each set of disembodied hands seems to have a distinct personality. 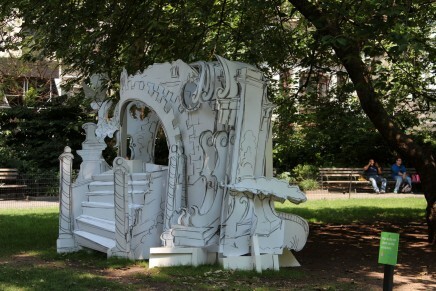 Although the gestures the hands form don’t translate directly to sign language, the installation has been of interest to the deaf community. The formations are certainly communicative, their meaning up for interpretation. 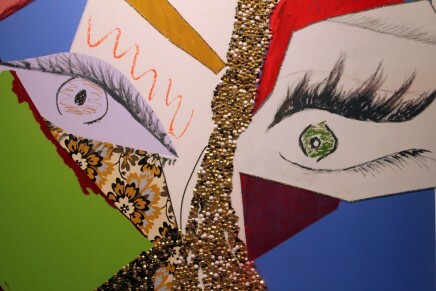 On loan from the artist, the installation is on display in the contemporary wing of the National Gallery of Art. 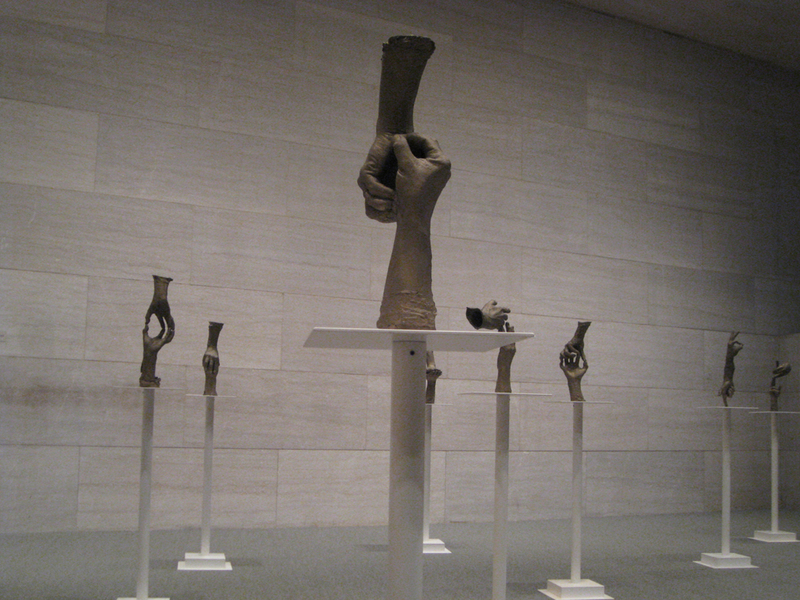 “Fifteen Pairs of Hands” was featured at the 53rd Venice Biennale in 2009, where Bruce Nauman was the focus of the American pavilion. “Bruce Nauman: Topological Gardens” surveyed four decades of his work in various mediums. 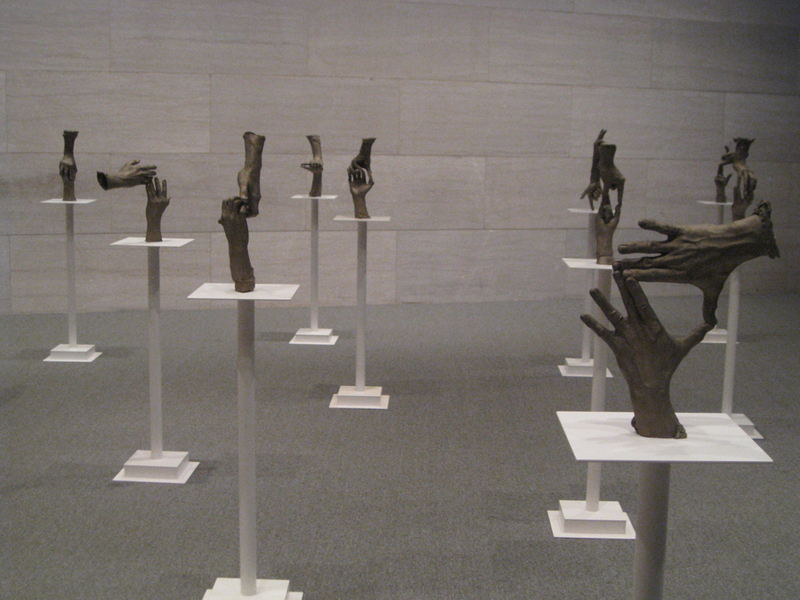 “Fifteen Pairs of Hands,” 1996 (white bronze with painted bases). 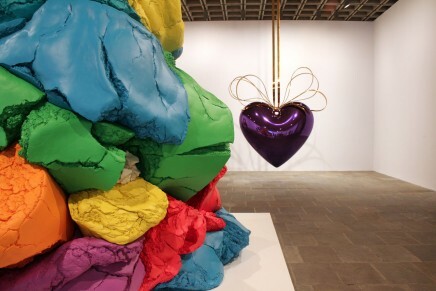 In background, from left, “Achilles,” 1952 (oil and acrylic resin on canvas) by Barnett Newman; “Marquis de Portago (first version),” 1960 (aluminum oil paint on canvas) by Frank Stella. It’s a pity Washington is to far away to visit. I like the pictures very much and wants to see them by myself. I’m a collector of stamps and especially stamps with hands (without a body, a person). I’ve a collection of ca. 1500 stamps and also a few hundred postcards. Hands are so fascinating. I never get enough. I hope my english is good enough to understand.